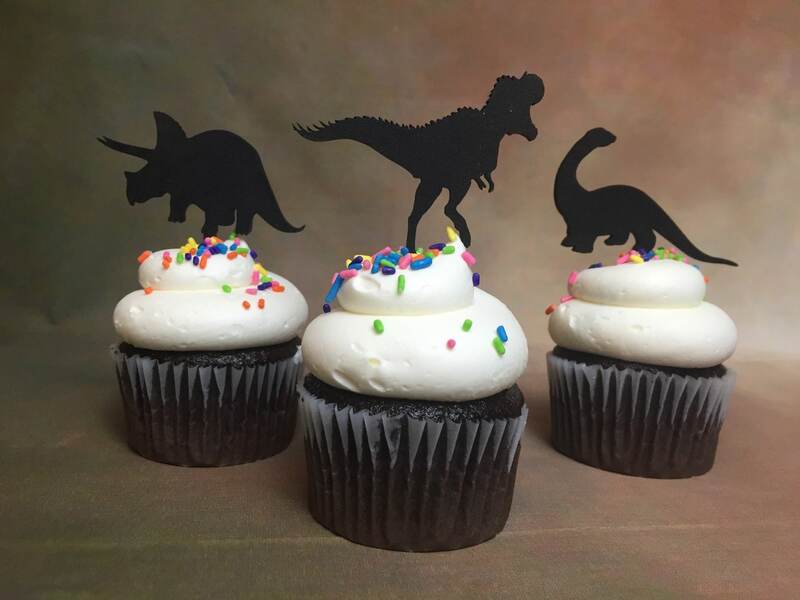 This listing is for 1 set of 24 regular sized “Dinosaur” cupcake toppers. The set of 24 has 3 shapes. 8 t-rex, 8 triceratops, 8 Brontosaurus. They are made of 1/8” thick recycled eucalyptus board. The cupcake toppers are approximately 1.75” wide and 3” tall. The stick to go into your cupcake is approximately 2” tall. 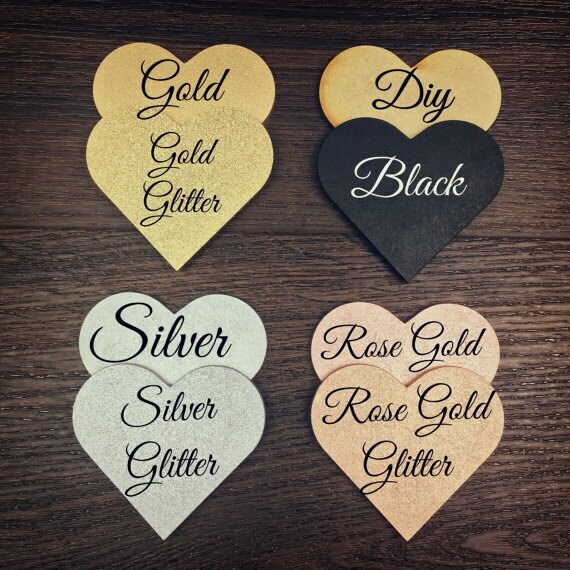 This cupcake topper is available in: gold, gold glitter, sliver, silver glitter, rose gold, rose gold glitter, black and DIY (unpainted). If you order a painted cupcake topper they will come painted on both sides. We hand airbrush all of our products with non-toxic paint and seal the sticks. 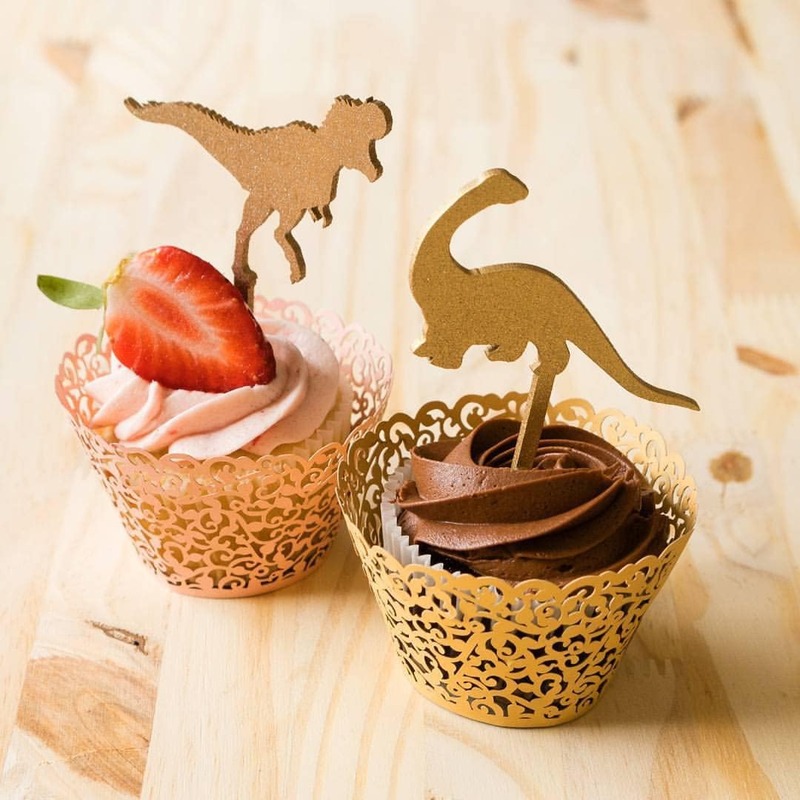 I wanted something girly, fun and not cheap looking for my daughter’s dinosaur themed birthday party, these were perfect! Thank you so much for exceeding my expectations and shipping them quickly!